THE GRAND PRIZE WINNER FOR 2017 IS …Jeffrey Krska of New Franklin, Ohio! Jeffrey and his wife Mary are the proud winners of the National Motorcycle Museum’s 2017 Indian Fundraiser Motorcycle! The very first ticket a local bank executive pulled from the brimming hopper was that of Jeffrey Krska of New Franklin, Ohio. We called Jeffrey and learned that he has been a J&P Cycles customer for a couple of years and through National Motorcycle Museum mailings, his wife Mary donated for chances to win the Museum bike in 2016 and 2017. They bought six chances each year and one was the lucky winner for 2017. “We’ve never won anything before, and can’t stop talking about how great it is!” Said Jeffrey. 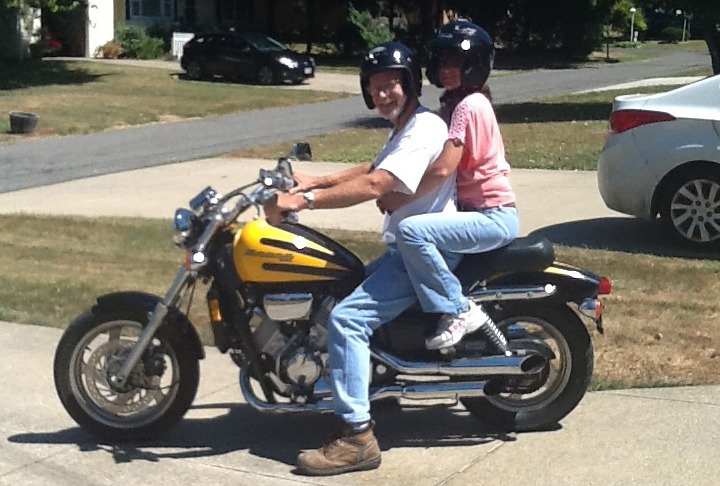 Jeffrey and his wife Mary started riding just a few years ago when they purchased their current 1997 Honda Magna from their son-in-law who replaced it with a Harley. 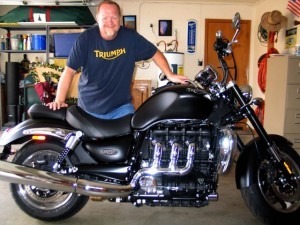 “One ride and I was hooked on the Magna and motorcycling. I now ride to work most days. Mary and I plan to build a small addition onto the garage to give us more motorcycle storage space.” Given temperatures are in the single digits, Jeffrey plans to connect with Federal Motorcycle Shipping to get the bike to Bair Powersports in North Canton, Ohio for prep and paperwork. When the salt washes off the Ohio roads, no doubt Jeff and Mary will be out putting some miles on the new Indian Chief Vintage they won by being Museum supporters!